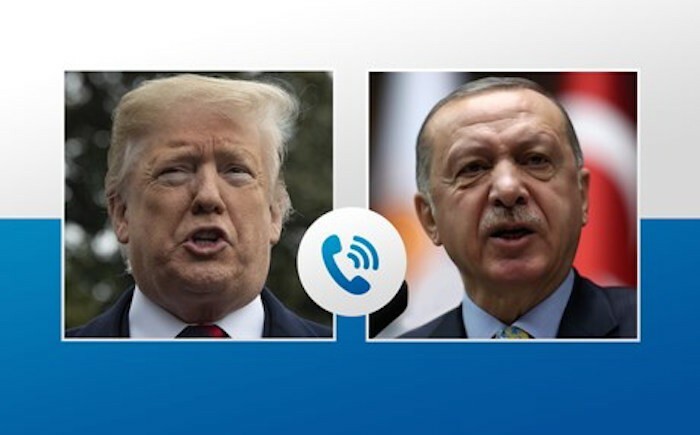 21-01-2019 - ERBIL, Kurdistan Region — Turkish President Recep Tayyip Erdogan emphasized that his forces are ready to take over Manbij in a phone call with US President Donald Trump late on Sunday. Erdogan also stressed that diplomatic and military talks need to be accelerated, according to a readout from the Turkish presidency. "President Trump underscored the importance of defeating terrorist elements that remain in Syria," White House spokeswoman Sarah Sanders told reporters of the call. The call comes after four Americans working within the US-led coalition were killed in an ISIS-claimed suicide attack on Wednesday. Erdogan relayed condolences for Manbij attack, which he described “a provocation to influence the decision to withdraw,” according to the Turkish statement. Both agreed for continued action against ISIS, it added. Trump announced in December that the United States would remove its forces from northern Syria, claiming ISIS has been defeated. Prior to the decision, the US and Turkish militaries had been preparing for joint patrols around Manbij. Trump's tweet of the withdrawal sent senior US officials and analysts’ heads' spinning. US Defense Secretary James Mattis announced his resignation, as did the Pentagon chief of staff, and Special Presidential Envoy to the coalition Brett McGurk. A 20 kilometer "safe zone" was proposed by Trump under the guidance of US National Security Advisor John Bolton for northern Syria, as local predominately Kurdish forces and civilians fear an Afrin-like onslaught by Turkey. Ankara has countered that such a safe zone would be administered by Turkey. Analysts see it unlikely that internationals establish a no-fly zone over the area. Over the past week, most major newspapers in the United States have published McGurk's criticism of Trump's lack of planning in foreign policy. "... it was the total reversal of our policy that made it," McGurk said on the widely-watched CBS program 'Face The Nation' on Sunday. McGurk noted that the coalition was built of 75 nations and part of a campaign spanning four years and two administrations to counter the extremists. "Well they're [ISIS] not defeated ... And in 2014 this organization controlled territory of 8 million Syrians and Iraqis. It was committing genocide against Christians and Yazidis and minority groups," he said. 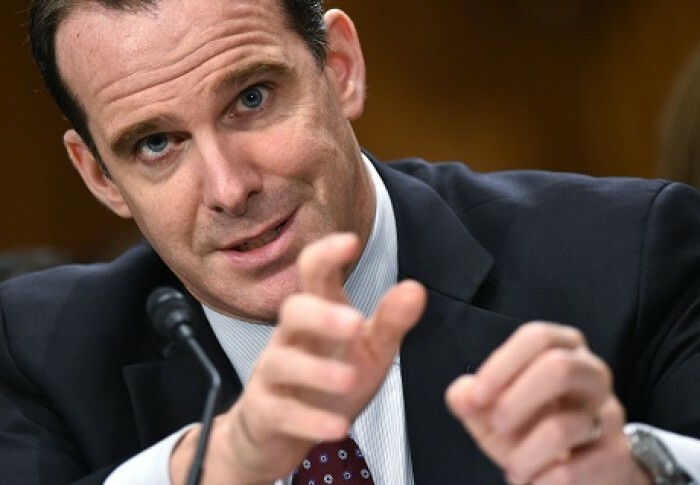 McGurk repeatedly has revealed that counter-ISIS actions in Syria and Iraq have prevented extremist attacks in Europe and in the United States. "It was planning attacks against us in the homeland. It was carrying them out in Paris, that killed Americans in Brussels and Paris," he said. Trump's announced withdrawal prevents huge risks to locals and US forces still deployed. "... we cannot expect a partner such as Turkey to come in and take our place, or another coalition partner to take our place. That is not realistic," he said on his view of Ankara helping in northern Syria. The announcement empowers Turkey and Iran, while giving the United States a weaker hand. "And if our forces are under order to withdraw, as at the same time they are trying to find some formula for another coalition partner to come in, that is not workable. That is not a viable plan," he said. Trump's administration argues that it will remain active with airstrikes. However analysts don't believe they can continue without local partners and intelligence assets on the ground. "To give us the intelligence to keep pressure on them and pulling out all of those forces will have very significant repercussions which we need to be ready for," he concluded.